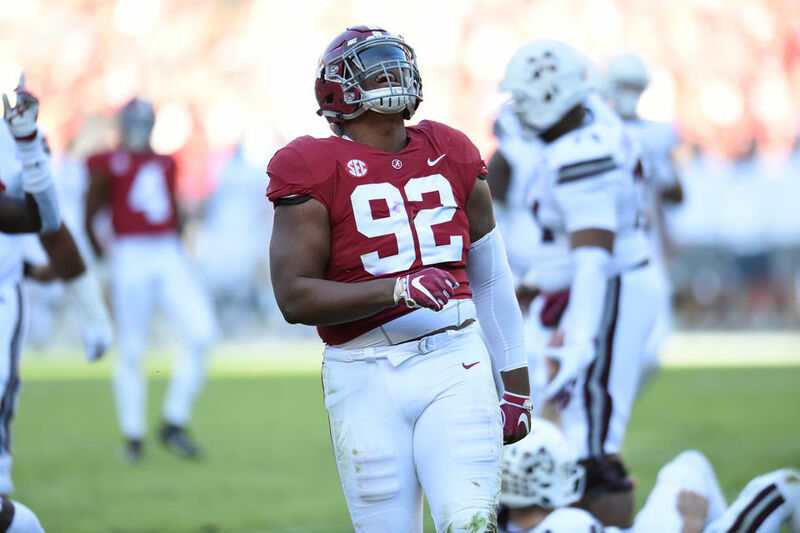 Alabama’s Quinnen Williams could be the first defensive tackles off the board come April. The Jets weren’t particularly strong at defensive tackle, but the interior line wasn’t a big weak point either. Starting nose tackle Steve McLendon was more or less fine and his backup, Mike Pennel, was serviceable as well. That said, the Jets were playing in a 3-4 base defense last season. This year, they’ll be shifting to a 4-3 scheme, which changes the focus on this position. How does Jets’ future look at DT? McLendon is a free agent and just turned 33, so it’d be a surprise if the Jets re-sign him to fill any sort of starting role. Pennel, 27, is entering the final year of his contract. Leonard Williams, Foley Fatukasi and Nathan Shepherd all played defensive end last season, but could feasibly move to the interior of the line in the new 4-3 scheme. But either way, the Jets could probably use some reinforcement at defensive tackle — and a legitimate playmaker at the position — moving forward. It’s not among the Jets’ top needs, to be honest — offensive linemen and edge rushers (DEs/OLBs) should be Nos. 1 and 2 on the priority list, in either order. But defensive tackle is probably in the category below that, alongside wide receiver, running back and cornerback.